Hi friends!! 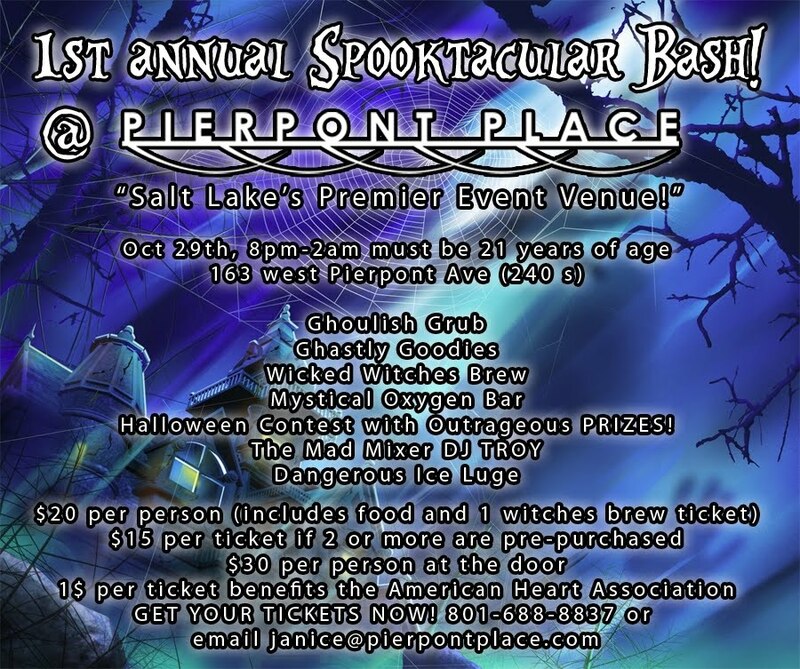 Don’t forget that our 1st annual Spooktacular Bash will be held this Friday, thats right THIS FRIDAY! Tickets are going fast, group deals are available at the door. Wear your favorite costume to win amazing prizes. Last years’ was a HUGE turnout so get on the ball and get your tickets early. 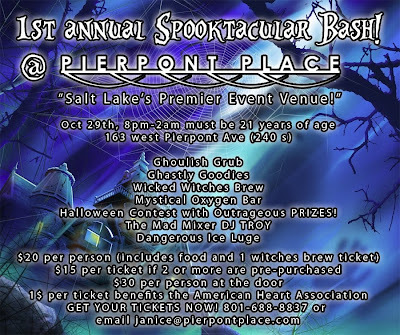 DJ, ice louge, oxygen bar and more!! Can’t wait to see you all there and looking awesome. P.S. Proceeds go to American Heart Association, so please come and show your support! BOO!!!! !